To get away from the hustle and bustle of the city, we decided to take a trip to Danyang to see a different side of South Korea. 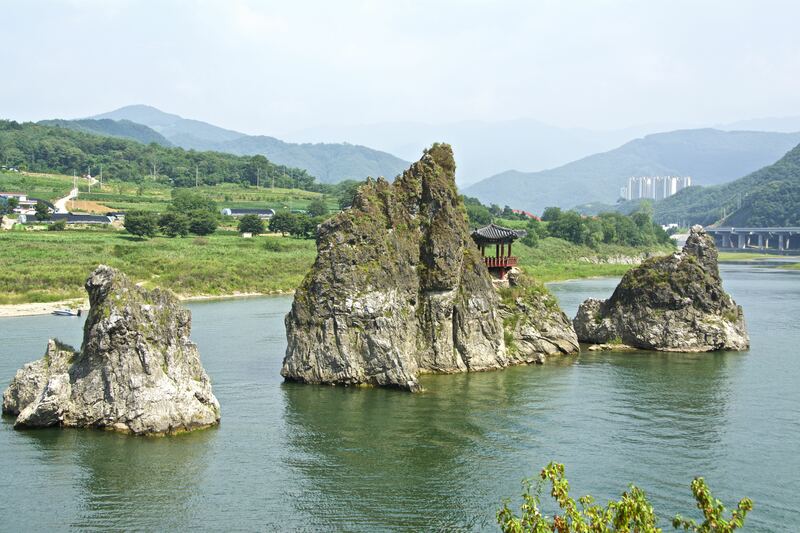 Danyang is an area known for its scenic beauty throughout Korean history and is still known as a place to see the natural side of South Korea. 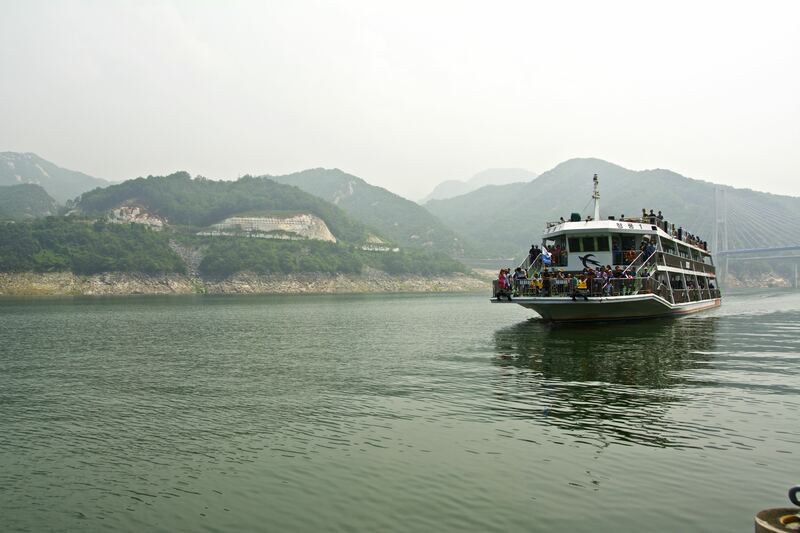 There are a total of eight scenic views of Danyang, but we did not make it to all of them. We took a tour that helped guide us through the different sites, it took about an hour to get to our first stop. 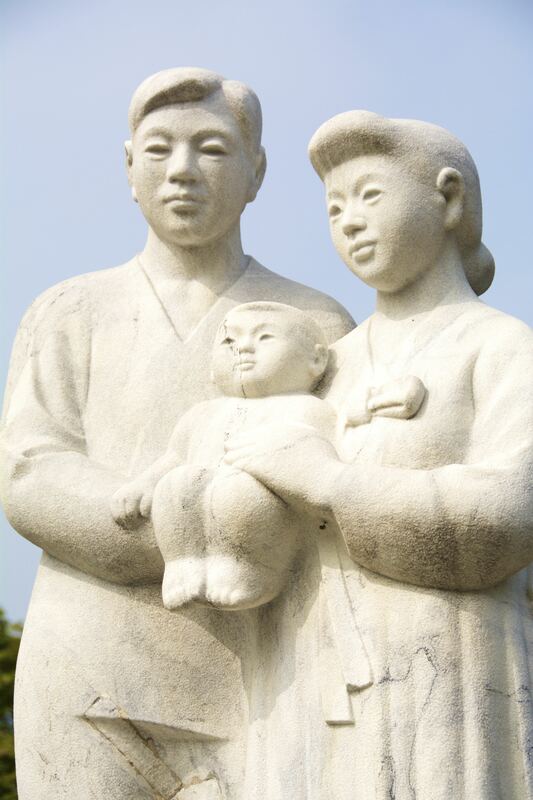 We stopped in at a sculpture park a little ways out from Danyang and took a quick walk an perused the statues. 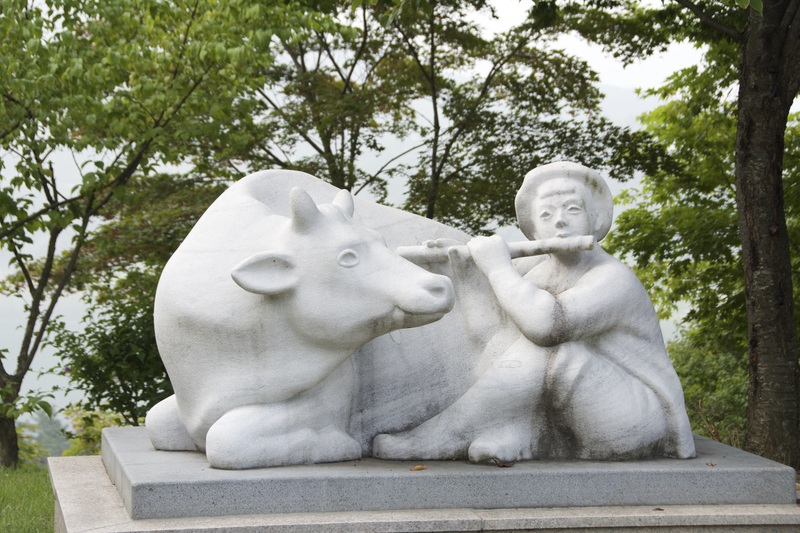 The statues were erected in remeberence of the villages that were flooded because of the dam that was built. They depict different scenes of the daily life that occurred in the villages. The next stop was a yummy lunch at Cheongpung Ddokgalbi to try some delicious Ddokgalbi. 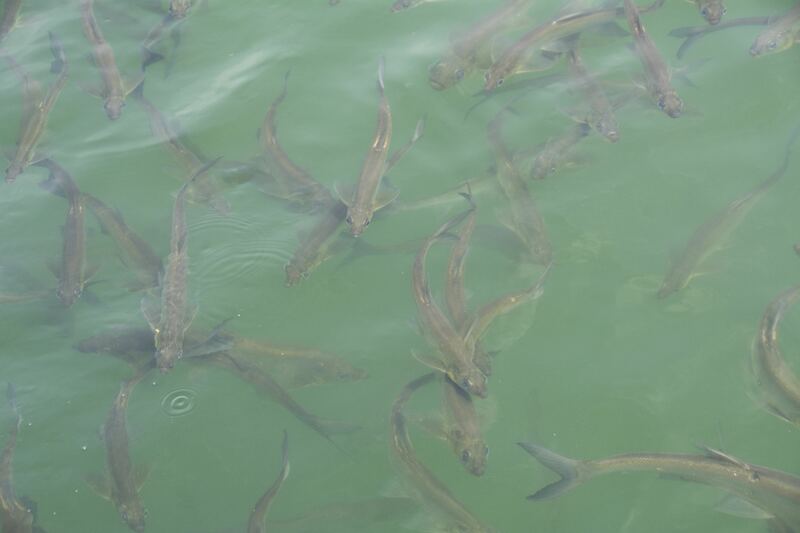 We then headed to Chungjuho Lake to take the ferry. 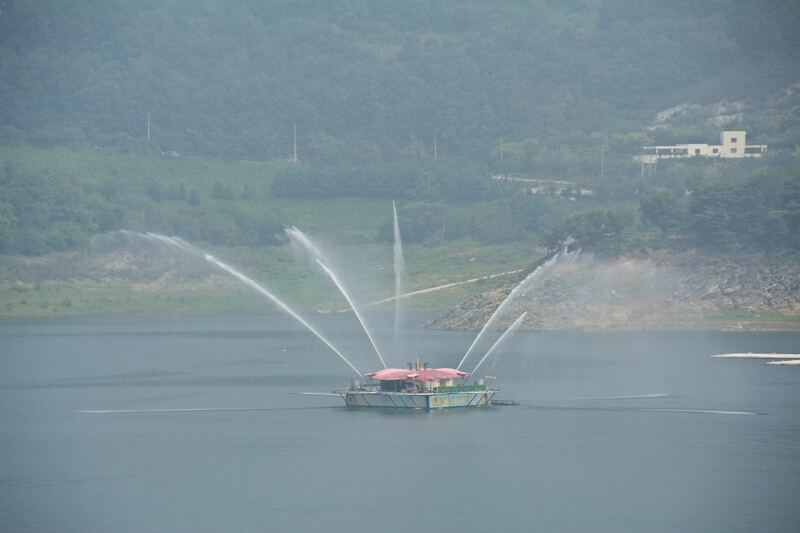 The lake is made by a river dam and travels to a few different sites, we got off at Oksunbong (the first stop). The ferry itself has 3 levels and we sat at the very top for the best photos. However, there is no shade or cover up there so be ready for the sun to be beating down on you! We were slightly disappointed that it was a foggy day, but the scenery was lovely. There is a large fountain by the ferry terminal. Our driver was waiting for us as soon as we got off the ferry and we headed off to Gosu Cave. 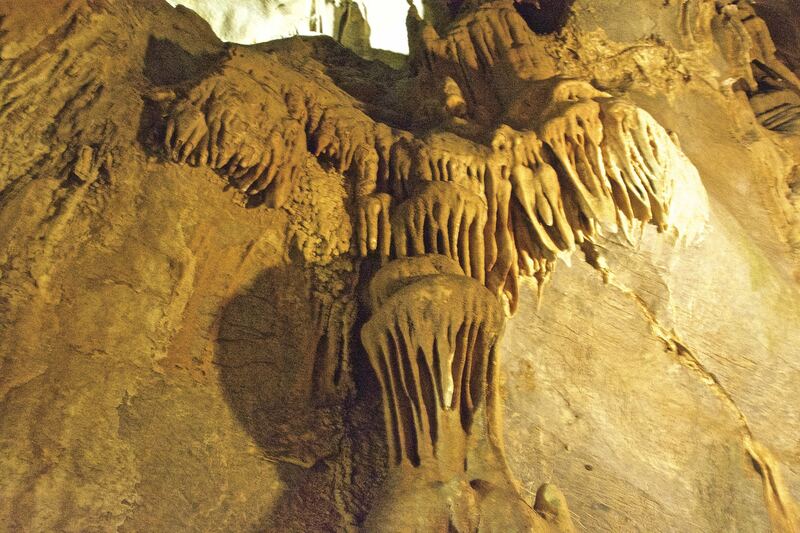 The caves were discovered in 1973 and it has been determined that the limestone formations are 400-500 million years old! 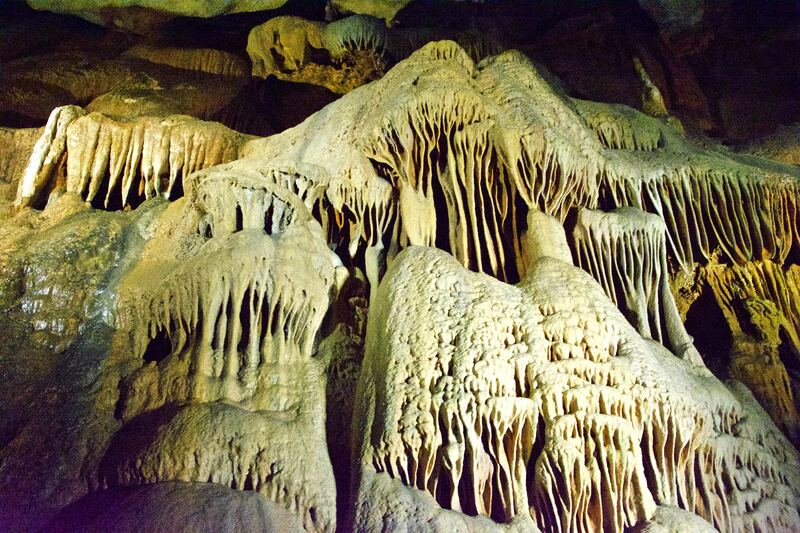 The cave itself is approximately 150,000 years old. 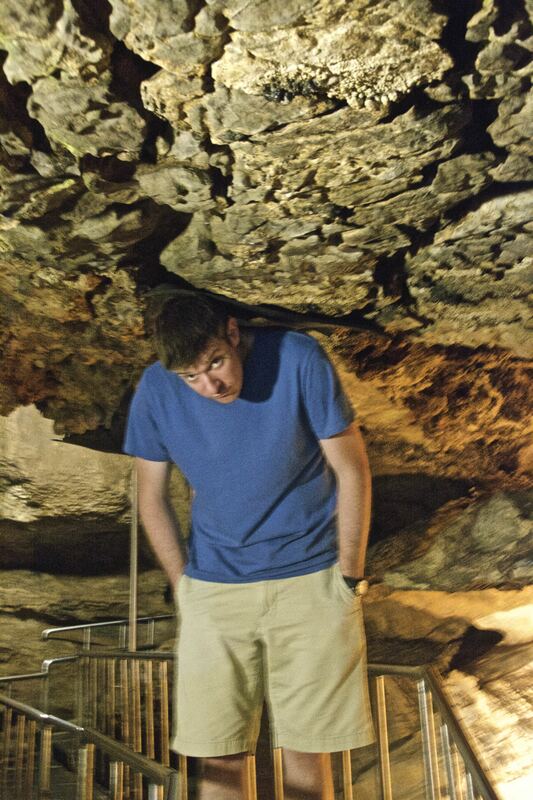 Scott’s a bit too big for the caves! The final stop on our tour was Dodamsambong Peak and the Stone Gate of Danyang. Dodamsambong is often called “3 strange (weird) rocks in the river.” So you kind of get the point that there are 3 large rock formations in the middle of the Namhang River. Apparently this is the only place in the world where you can see rocks protruding so high out of the middle of a river. We were told about the legend about these 3 rocks. There once was a couple who was unable to conceive a child. Because of this, he was able to marry a second wife to have a child; but after the child was born the second wife mistreated the first wife. The heavens saw all of this and decided to turn all of them to stone. The small rock on the right represents the first wife and she is looking away from the others in disgust. The large middle rock is the husband, and the third rock on the left is the second wife looking towards the husband. 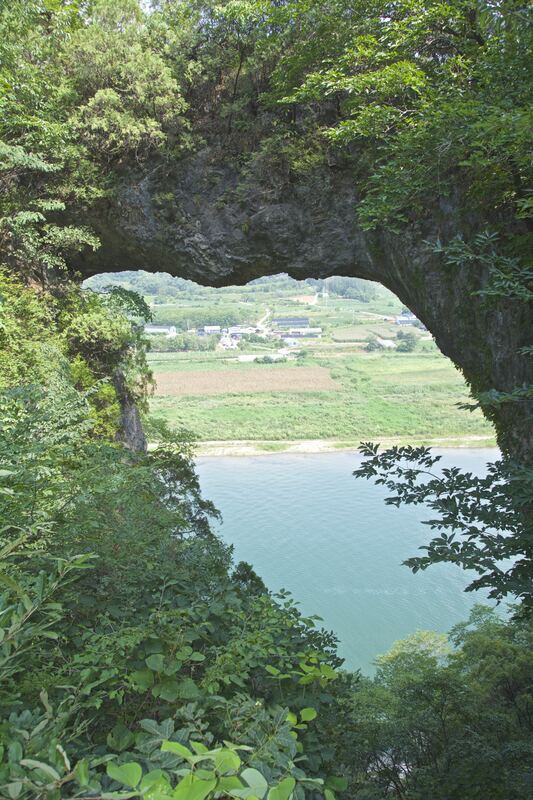 The Stone Gate of Danyang is very curious as it is a big hole in the middle of a large rock. 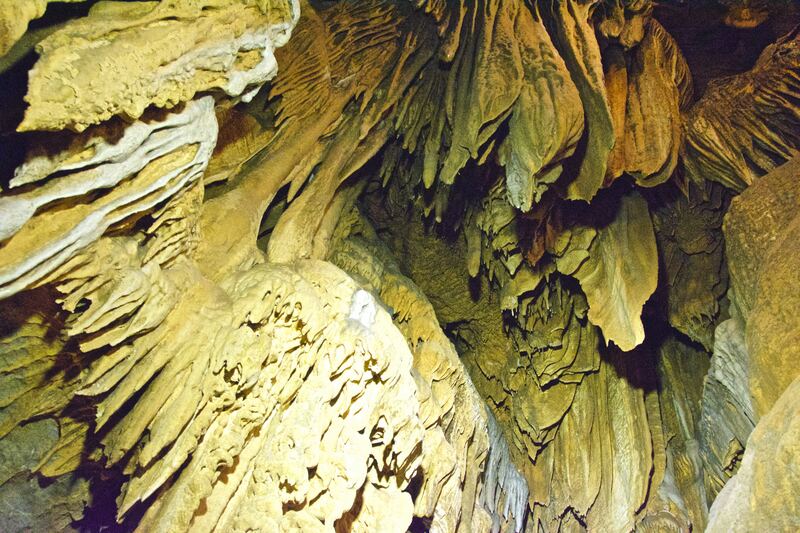 The hole is not man made but is a natural formation and is the largest of its kind in Asia. 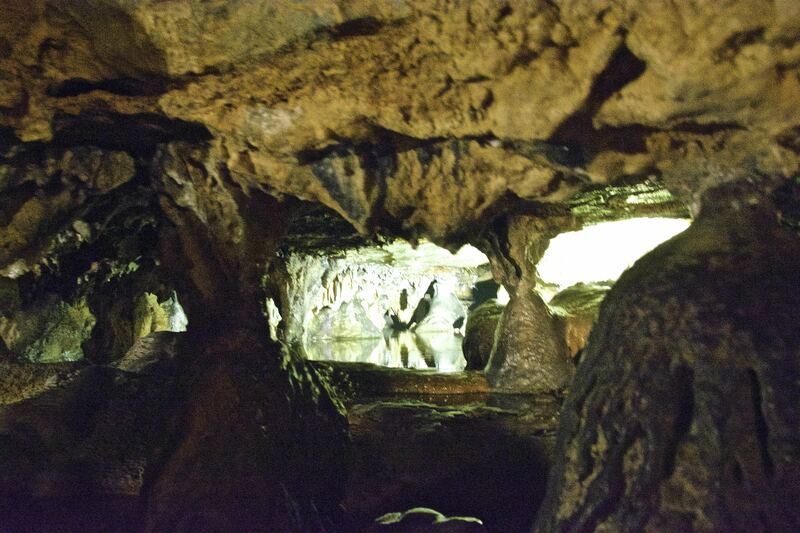 They believe that the hole is the remnant of a limestone cave which had collapsed. If you go to Danyang, I hope you have great weather as on a clear day you’re sure to get some really pretty photos. It’s definitely a nice break from the city! Previous Post Ddok Galbi is delicious! Next Post Busan or Bust!